It’s officially Day 2 of the 2018 Winter Games, and the BBC presence within the IBC is on the frontlines of a coverage effort that begins at the venues and extends all the way home to MediaCityUK in Salford, where a larger production team pulls together commentary, host feeds, beauty shots, and studio coverage to deliver all the action via two production-control rooms. BBC’s Jonny Bramley says the team in PyeongChang is working closely with a team back home in MediaCityUK. Having been onsite for about three weeks, he says it was a great feeling to arrive at an Olympics and hear nothing but good feedback about the state of the IBC, the helpfulness of the local organizing committee, and logistical issues like hotels and transportation. 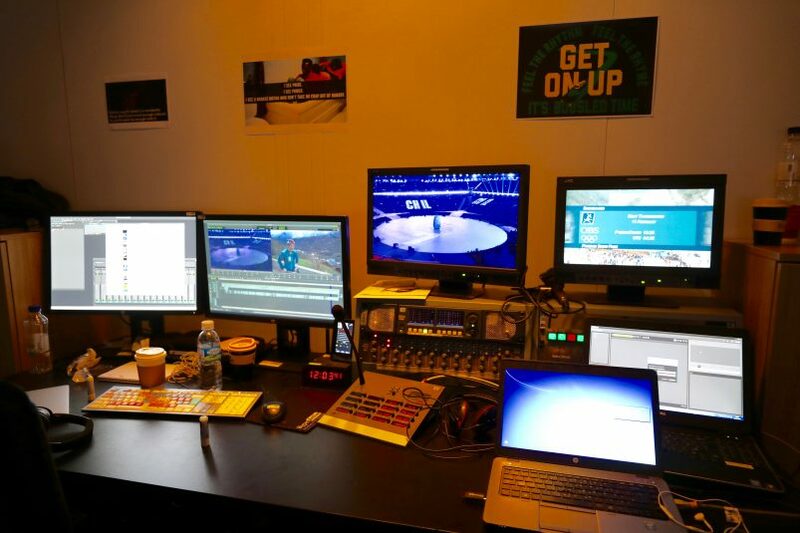 There are about 90 people in PyeongChang for the BBC, and most of them spend their days in a space that has three editing facilities, off-tube–commentary areas, EVS servers for recording things like beauty shots, and a gallery designed to take in a wealth of content and cut it down to a manageable size for the production team in the UK. DEGA Broadcast Systems in the UK was responsible for the equipment integration in PyeongChang. “The bulk of the production, postproduction, journalism, and program transmissions is coming from MediaCityUK in Salford,” says Bramley. 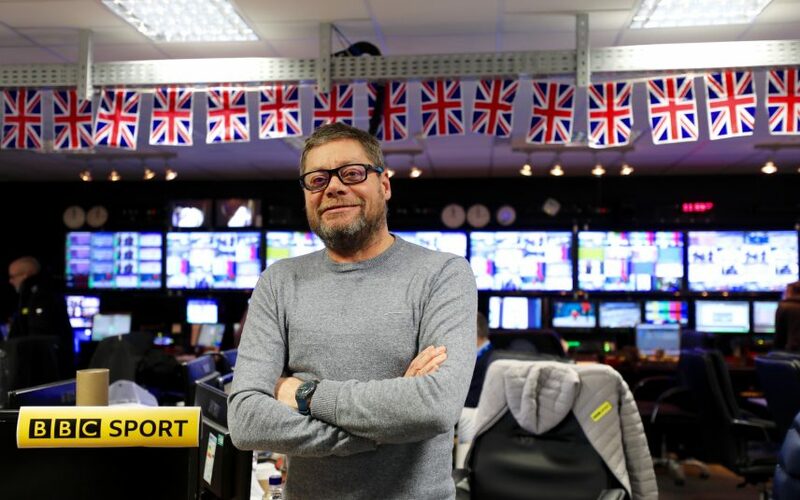 The two control rooms in Salford also add the branded BBC Sport presentation graphics, including name supers, results, program trails, and additional creative elements. These graphics will be inserted using a standard Vizrt platform. Avid editing systems are being used both in South Korea and at MediaCityUK, and the editing teams collaborate, if necessary, to finish off packages that begin in the other location. The BBC has an outdoor presentation set in PyeongChang, featuring a single camera and small Yamaha DM1000 audio desk, where athletes and other guests can stop by and be fed into the coverage back home and also during BBC Breakfast, which begins at 6 a.m. GMT. The efforts from that set complement the main presentation studio back home, which will be used from 9:15 to 8 p.m.
Every Olympics offers a chance for the BBC to improve on previous efforts. During the 2014 Sochi Games, the BBC took some of its first steps toward remote production and experienced some delays when it came to cueing the talent because the signals would go from the studio to the IBC to MediaCityUK and then back to the studio. That long trip and multiple encodes/decodes introduced delays, and the BBC, in conjunction with Calrec, has worked on a solution that keeps all the audio cueing within South Korea, minimizing delays and making life easier for all involved. The BBC is focusing its efforts on the peak UK viewing hours with a nightly highlight show airing on BBC1 at 7-8 p.m. BBC4, meanwhile, offers a longer-form one-hour highlights package later in the evening before BBC1 live coverage kicks off at midnight and ends at 6 a.m., when it transitions to BBC2. The Red Button Channel, meanwhile, offers 24/7 coverage.